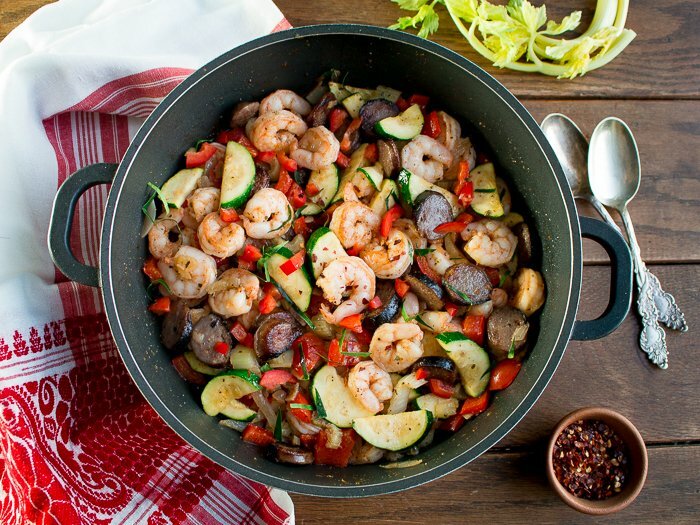 Low Carb Shrimp and Sausage Skillet is a one pan little 20-minute wonder with a little spice, zest and kick of flavor. 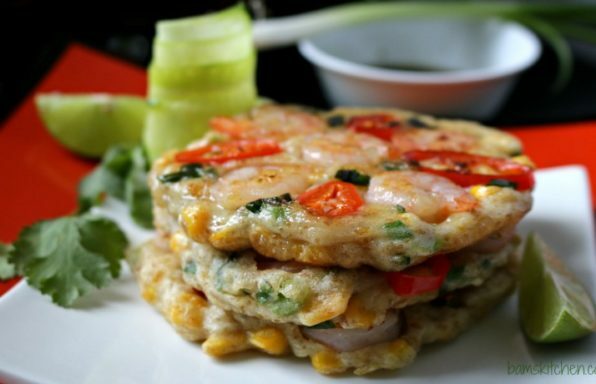 Perfect Weekday Meal! You are just going to love this Low Carb Shrimp and Sausage Skillet as it is super easy to make and exploding with flavor. We used Cajun seasoning and a little kick of red pepper flakes to heat it up a bit. 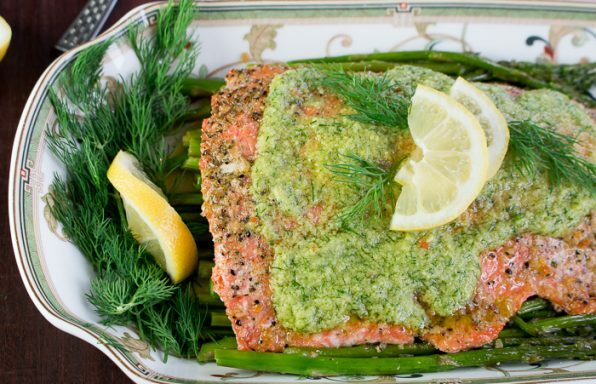 However, you are never going to guess that little herb that made this recipe sparkle. We will give you a hint, it is green and cut in super strips and added the last minute to the pan. Any guesses? 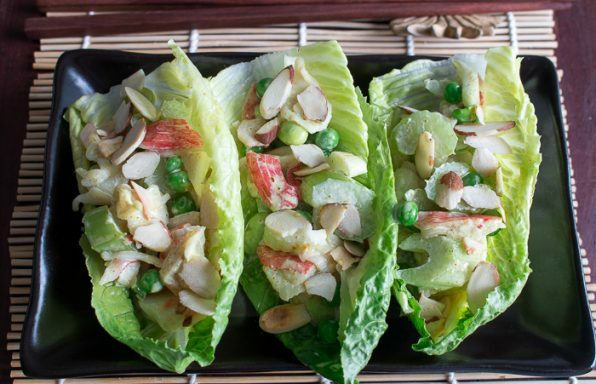 We used kaffir lime leaves. Yep, crazy we know, but it brought such a delicious fresh zip to this dish. Kaffir lime leaves can be found in Asian Grocery stores and in the fresh herb section of your whole food stores. If you cannot find Kaffir lime leaves, a little fresh lime zest added just to the end of the cooking process is beautiful. 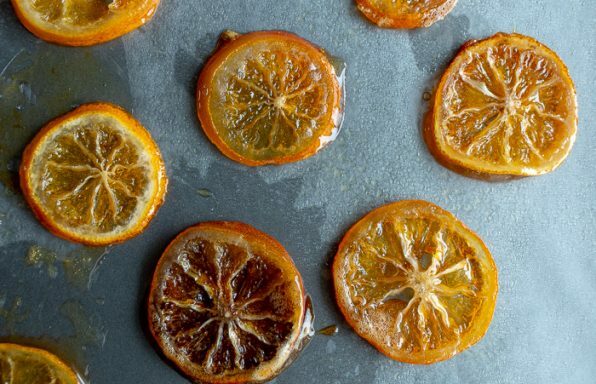 We think many dishes can be elevated to the next level by adding a little acid, citrus or sparkle to the dish. Sometimes, you have a flat dish. You try to add more seasonings but it is still missing something, it is probably missing a little acid, citrus or sparkle. Kaffir lime leaves are that little sparkle. 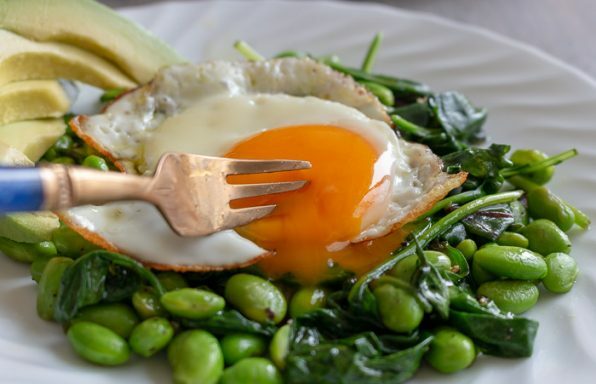 An addition that makes this dish extra special is a little dab of grass fed organic butter. Just a little dab and it really makes this recipe delicious. Butter has received some mixed reviews in the past. However, butter is all natural and margarine is predominantly made from highly unhealthy trans fatty acids and has a whole host of issues. It is much better for your overall health to eat real butter than margarine. If you suffer from dairy intolerances, try ghee. Ghee is like clarified butter. Ghee is produced by heating butter to remove the milk solids and water. We used a little turkey sausage in this recipe. If you like hot and spicy Italian sausage, use that or whatever you like. We are all about using whatever is in your pantry. 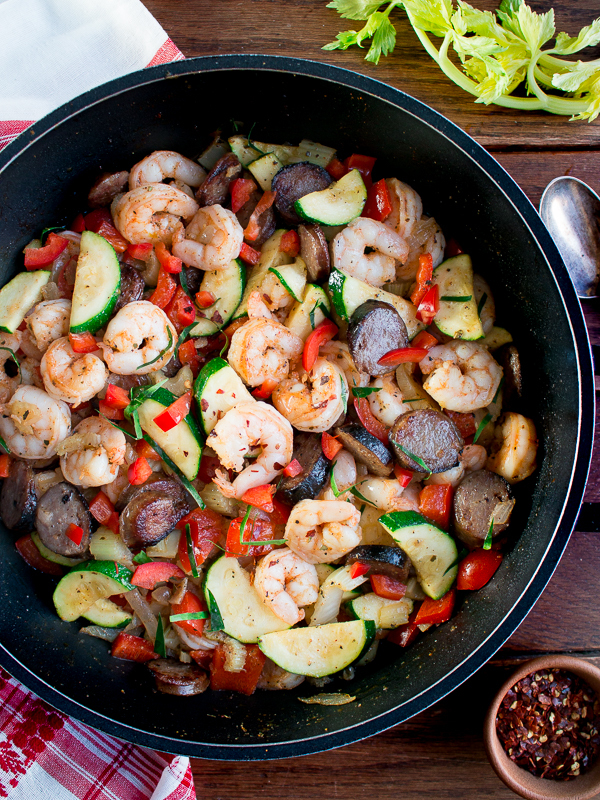 Low Carb Shrimp and Sausage Skillet is a great “Clean Out the Refrigerator Meal”. We like to use those little bits and bobs of vegetables. 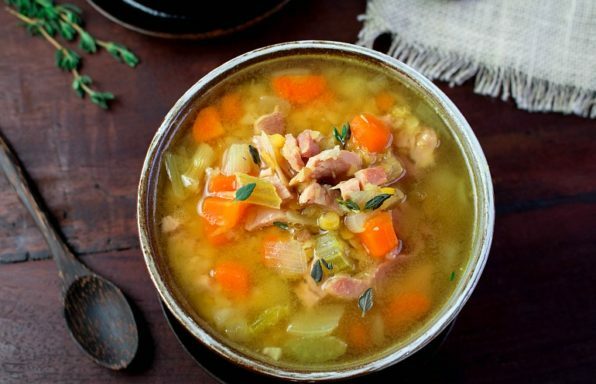 You can use any vegetables you desire in this recipe. We just happened to have celery, zucchini and red bell peppers. Garlic and onions are always a must but really beyond that anything your heart desires would be delicious in here. The order of putting items in the pot depends on the type of vegetables you are using. The harder vegetables such as celery go in first and then a bit later you can add the zucchini and red bell pepper that take a shorter time to cook. 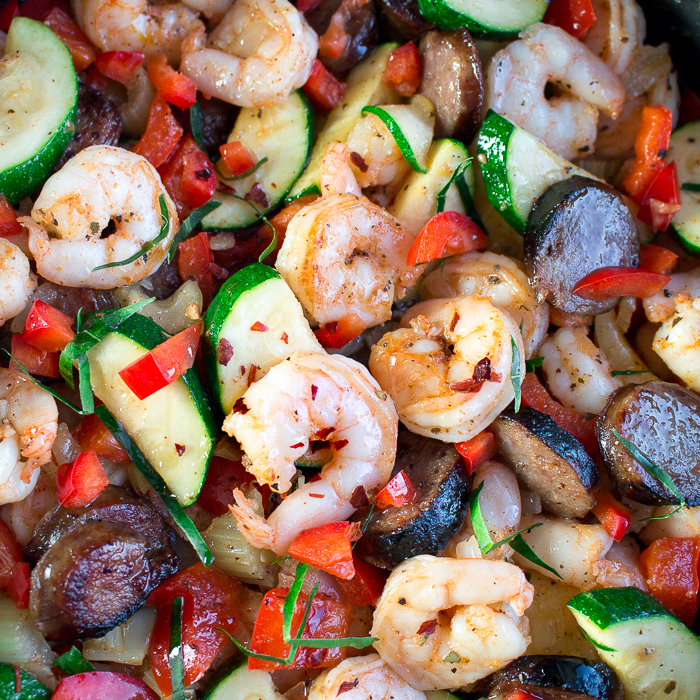 To keep this meal low carb, we just served our Low Carb Shrimp and Sausage Skillet with a side salad. However, also delicious over rice or polenta, if carbs are not an issue. 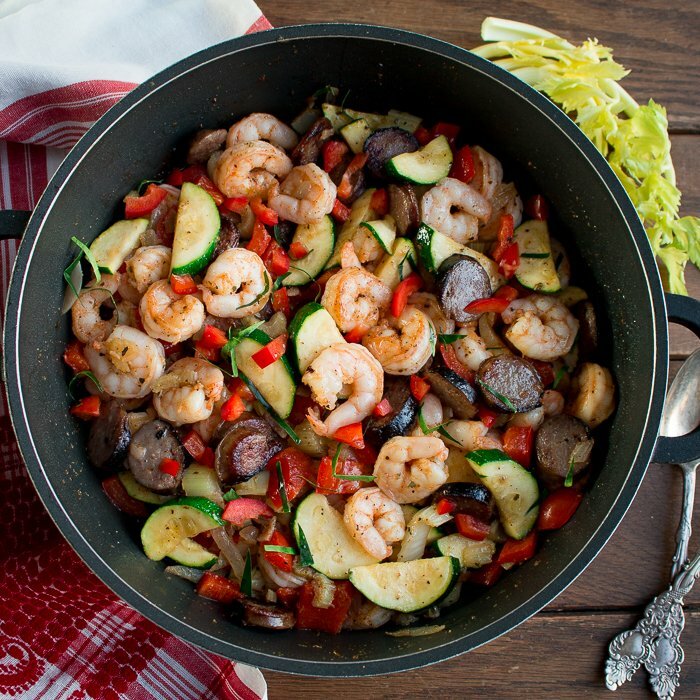 Low Carb Shrimp and Sausage Skillet is a one pan little 20-minute wonder with a little spice, zest and kick of flavor. Shrimp – 1 pound (deveined peeled and tail removed) – dried well. 1In a large skillet add olive oil, onion and garlic and saute until just translucent. Add the sliced precooked turkey sausage and heat for a couple of minutes until lightly golden brown. Remove turkey sausage and onion mixture from the pan into a large bowl and set aside. 2Add celery to pan and stir fry until just aldente. Add the sliced zucchini and red bell pepper and cook just until fork tender. Remove the vegetables from the pan and add to the bowl you have your turkey sausage and onion mixture. 3Add a little extra olive oil to the pan if needed and add your shrimp. Make sure your shrimp are really dried with a paper towel BEFORE adding to the pan. Stir fry for a couple of minutes until turn pink and no longer translucent. 4Add the turkey, onion and vegetable mixture back to the pan with the shrimp, add your Cajun seasoning, salt and pepper to taste, butter and kaffir lime leaves and cook for one more minute.